I have a question here: If your home business deals on meat processing, will you still operate a blog? I find that it is way too time-consuming for the standard use. I know there are others who swear by it. We all have to pick and choose how we want to spend our time. So, should we be trying more for SEO or using advertising, if our blog is about safelists? I keep my blog going because it's the cheapest form of advertising that has that much clout. Think about it, the WordPress was free, the domain name is $14 a year and the hosting $1 a month. I do all the work myself, so there is no other expense. So far in September it has had over 4,000 visits, so that's about $.0005 per targeted visitor. The factor that is often overlooked, is it provides me with a certain degree of authority and you can't buy that. EDIT: I forgot to mention in the last two years I made $200 on referral commissions, so that paid for my upgraded membership on Traffic Swirl with more than enough left over to cover the cost of owning my blog. Blog are a good tool to build you list and build you brand. Any kind of a business, home business in particular, requires that your customers, followers, prospects, whoever, has a place to find you and to keep in touch with what you are doing and what your business is doing. A blog is the easiest place to share your expertixe with your people, facebook included. I was always taught from the beginning that your blog is your realestate. That is where you can put the information about yourself to build authority and build followers. As your blog is your real Estate as others have said you can do what ever you want on your blog and it should be there for perpetuity if that is what you want. Your blog can be used as a marketing tool, provide value and get regular readers, or solely as a list builder. You can use it for reviewing products, or reminding customers of upcoming sales if you are a retail business of some sort. I saw earlier someone in the meat industry. You can use a blog as a place to tell people about cuts of meat, the best ways to use them, provide recipes, all sorts of things. Keep a regular review on some of your older posts to make sure that the information is still useful. You may need to review some to make sure that videos are working properly or anything else you have set up on the posts are directing to places they should. I think blogs can be a useful tool for gaining interest in your business. But, you have to use it correctly. I think that is where most fail. I have a blog. I think businesses should have blogs especially if you are doing business online It's a great way for people to find you. Plus, you can connect with your audience. Ask questions. People can share your content which will get you more publicity. Blogging is good but you should like to write because if you don't it will be hard for you to be successful with it. If you don't enjoy writing and still need a blog then, you should hire someone to write in it for you. A Blog is like Fine Wine. It takes a lot of grapes (articles or post) to be good. It takes time (for SEO to bring visitors and finding new subscribers) to be great. It is a true labor of love (you have to love what you do and keep doing it). In the end it is very profitable (You Make Money Blogging). Don't see why not. Meat processing may not necessarily be the main topic of your blog as you can broaden the topic to include all the related areas in dealing with with meats. Blog about everything where meat is concerned by thinking this thing out as an ETE (End To End no pun intended) from the growing to the styles of preparation to the consumption of meat plus factors surround health issue pertaining to meat to the broad animal lovers and vegans. Content is king, Yes, but only if you get targeted traffic to your blogs. I have several blogs. 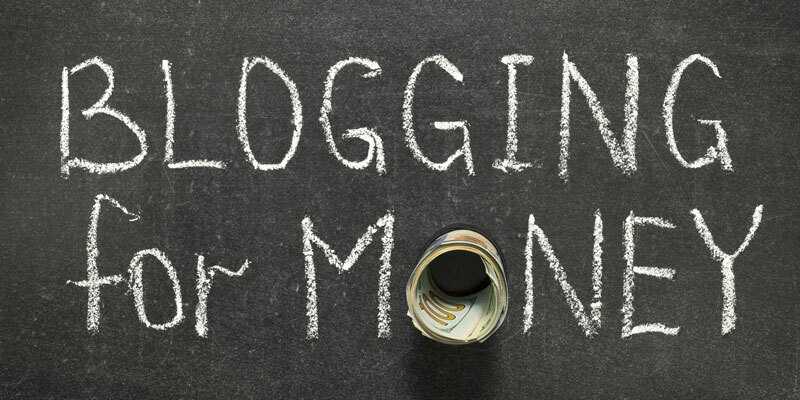 No matter what a blog is about, the purpose should be traffic and money. Design your blog with those things in mind foremost and your blog will grow. Absolutely! Publish blogs about topics that you know inside and out. Or, at least about topics that you are very passionate about. Each of us have a gift. Each one of us has something that we're great at that another person is terrible at. Besides, just when you begin to think that your expertise (or topic) is obscure, there's at least 100 people on the planet that is searching for more information on it. I have written blogs in the past and didn't even focus on targeting a particular group. I then had those same blogs attract traffic...and I wasn't even trying!